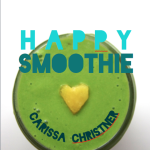 kid-made christmas gift idea | happy stuff. okay, this is post is a wee bit late, but it was such a successful project, i still wanted to share it with you. when trying to figure out gift ideas that the happy little dude could contribute to, i remembered that i had these birch tree slices from a past project that never got completed. i asked him what color he wanted to paint them and he chose red (with just a little yellow to mix in sometimes). when they were dry, i glued magnets to the back. i still wasn’t sure how to package them, but then i realized that as a cluster of 5, they made lovely holly berries, and the design was born! 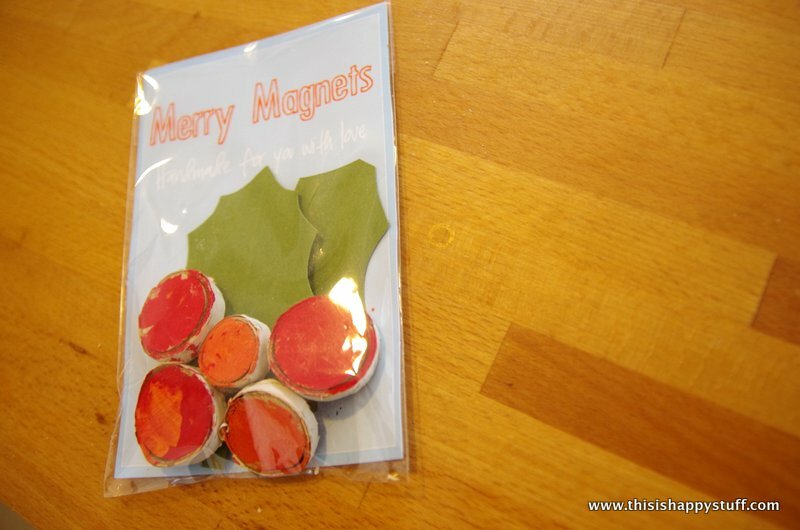 of course, the holly leaves aren’t part of the magnet itself, but that makes these magnets perfect for year-round display. 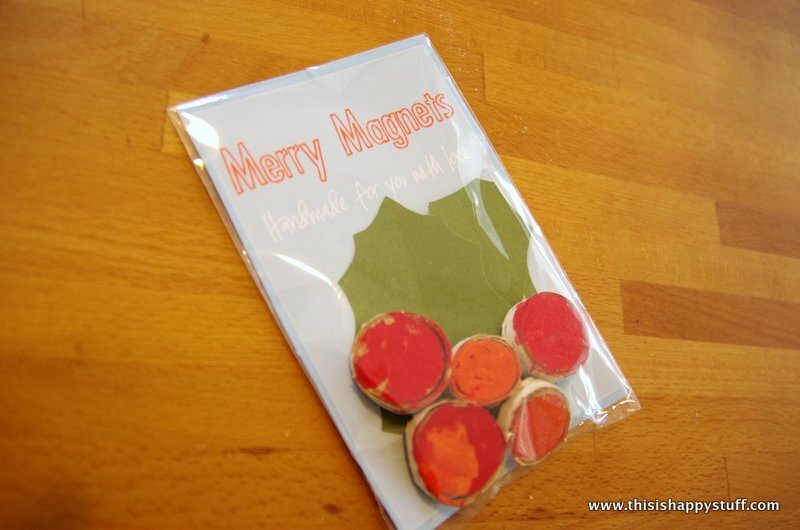 This entry was posted in crafty stuff, kid stuff, winter. Bookmark the permalink.